I am the IronMan | Thoughts of a Calabarboy. 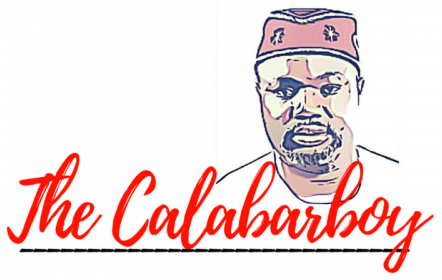 I am the IronMan – Thoughts of a Calabarboy. May 2nd changed something about me and I will never remain the same again. I found a new personality type and I think I want to stay this way for the rest of my life. I have always wanted to be this person but somehow I felt out of touch with its reality or actuality. I crafted severally in my mind what it will take me to become this person I so secretly adored but I just didn’t know what was the object of my affection. All I knew was that the day I see it I will know it. I knew it at the end of the movie on the 2nd of May. Although Jon Favreau did not succeed to overthrow the creativity of Michael Bay in the Transformers, he however gave me a personality I could relate to and this has pitched him far in my ratings as a dream giver. I came out of the theatre that night trying out some of the stunts I had just seen. The last time I did that I probably was in elementary school. I have been fantasizing flying through the streets of New York with light speed and shiny eyes, and reaching impossible heights, as well as zooming the the mountains of Afghanistan and rendering Al-Qaeda useless. I haven’t stopped dreaming yet. Infact this morning, I saw myself zoom into Sudan and break the backs of the insurgents, then zap to Harare and whisk Mugabe away, then land on the Gaza strip and declare peace or else…… From there I saw myself in Iraq spitting fire from my palms on the insurgents and restoring peace in the country, then appearing in Tibet and breaking the bonds of the Chinese and giving hope to an oppressed people. Then I quickly took of my steel coat to get into the subway before I attract unnecessary attention. As soon as I alighted from the cluttered machine, I swooshed back into my new self and took off for Congo and then to Ethiopia and dealt with the war there. finally I came over to New Orleans and with one sweep restored the lives of the people, then proceeded to Arkansas and Tennessee and made things well again. Just before 9am, I return to 135 East 22nd Street, Manhattan and came out of my new me and resumed life as it sure is. Wow!! what a fulfilling day already. I have done what I always wanted to do and I am glad for this. Wont it be so great to know I can do anything I wish to do because I am now my dream person?? On behalf of all dreamers i would like to thank Tony Stark for your invention and creativity. You have given dreamers one more reason to dream. Dreams do not die, they make the world go round and it’s a dreamers world. 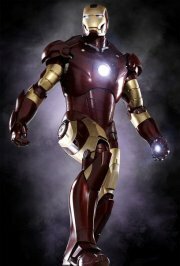 However I have asked myself if I want to be Tony Stark…hmmmmm…I don’t think so!! Therefore please you keep the Stark and gimme the Spark…the spark of your armour. ALL DREAMERS PLEASE KEEP DREAMING AND ONE DAY WE’LL RULE OUR WORLD. …Oops…was I dreaming?? WHAT!!!! So it was a dream…no Iron Armour?? I am sad?? I want to sleep again!!! ← Is he the one or do we look for another?? Im dreaming of a time in Nigeria when there will be UN-interrupted power supply! !